A monstrous hurricane barreling toward the United States is just as frightening from the ground as it is from space. 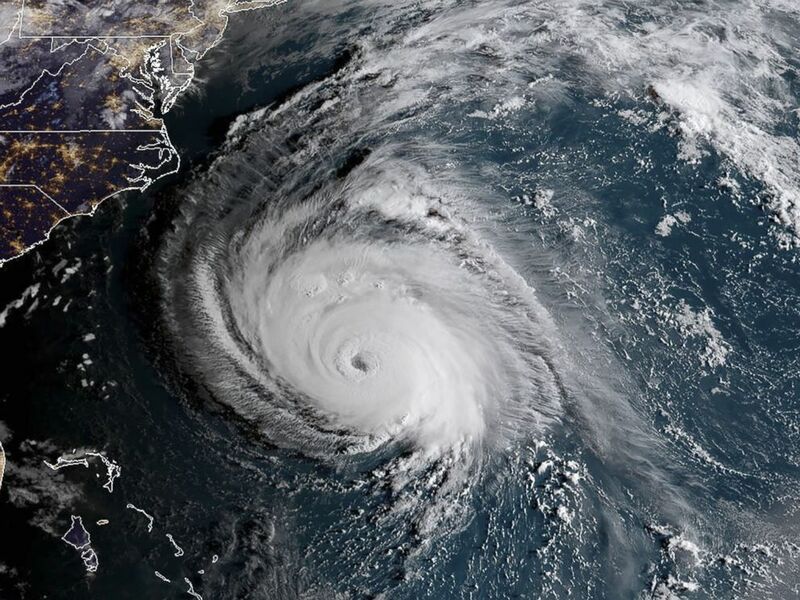 A high-definition camera outside the International Space Station captured an overhead look at Hurricane Florence on Wednesday morning, as the Category 4 storm churned across the Atlantic Ocean with sustained wind speeds of up to 130 mph. NASA, which posted the video on its blog, described it as a "stark and sobering view." European Space Agency astronaut Alexander Gerst, who is on board the International Space Station, also posted images of Florence taken 400 kilometers above ground. 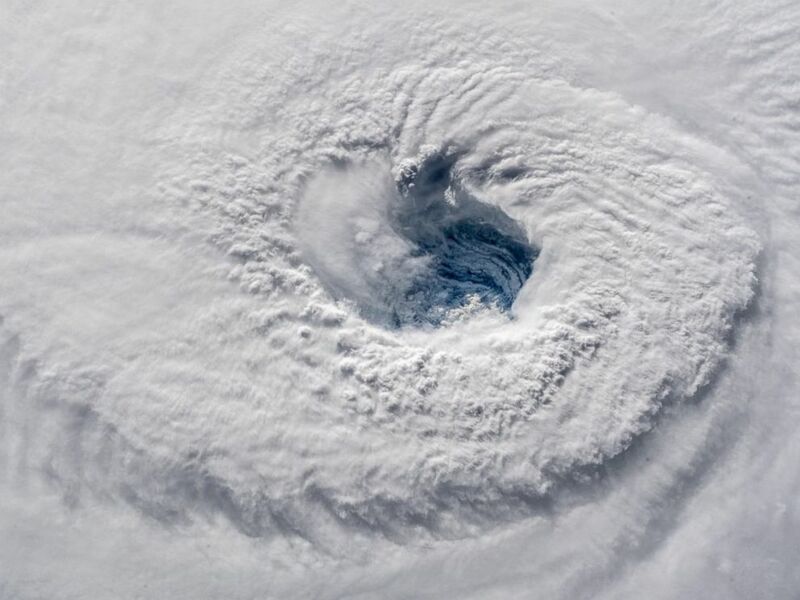 The eye of the storm was clearly defined in the center of a massive swirl of thick, white cloud tops over the blue ocean. "Ever stared down the gaping eye of a Category 4 hurricane? It's chilling, even from space," Gerst tweeted, along with the images. 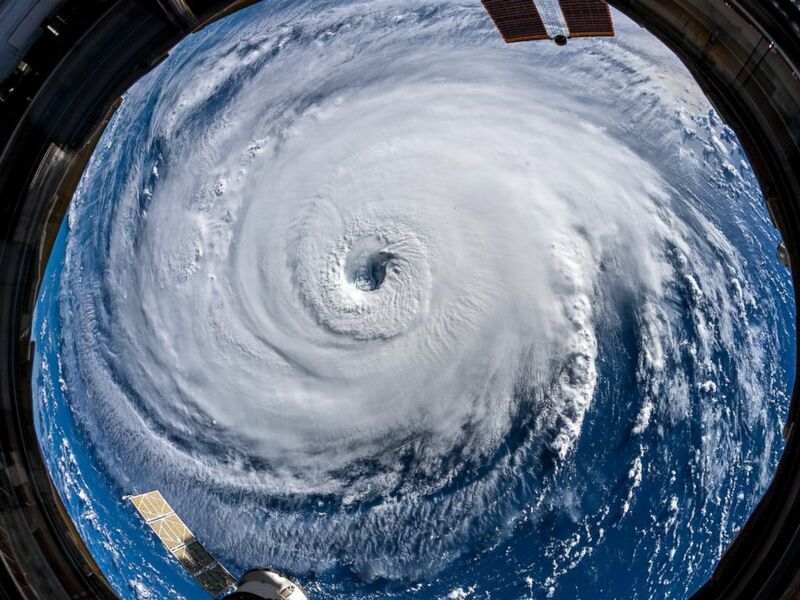 Gerst said a "super wide-angle lens" had to be used to capture the hurricane's colossal size. "Watch out, America!" Gerst wrote in another tweet. "Get prepared on the East Coast, this is a no-kidding nightmare coming for you." This NOAA/RAMMB satellite image taken at 6:00 ET on Sept. 12, 2018, shows Hurricane Florence off the US east coast in the Atlantic Ocean. The path, intensity and timing of the storm is likely to keep changing through the day Wednesday. But the latest trajectory from the National Weather Service shows Florence slowing down during the day Thursday and not making landfall along the Carolinas until the weekend. Rainfall totals will be even higher than previously forecast because of that slowdown. The southeast coast of North Carolina could see as much as 40 inches of rain -- in line with the catastrophic flooding caused by Hurricane Harvey last year in the Houston, Texas, area.